Portugal is one of Europe’s most visited countries because it’s affordable, the idyllic climate and the hidden ancient histories makes one feel like going back again and again.The topography of Portugal is so perfect with the mountains and vineyards in the north to the medieval villages and farmlands in the central region and the southern coastline has the fabulous beaches. You can visit during the months of March to May or October to September. The capital of Portugal, Lisbon is a place where you feel once is not enough, a place where the traditions and manners of olden times is still present, along with the contemporary. A picturesque city full of cosy places, filled with rich cultural heritage, Gothic cathedrals, alluring alleys, budget friendly restaurants and beautiful streets.The colorful neighborhoods with the traditional fado music playing in the background, is a soothing and pleasant sight for anyone. Each street and each corner has a story or a secret to be told. The best way to see Lisbon is by taking the vintage tram, which winds and rumbles along the gardens, historic quarters and the main attractions. Sintra a pretty city with ancient castles, extravagant palaces, dewy forests , rippling mountains and stunning scenery. 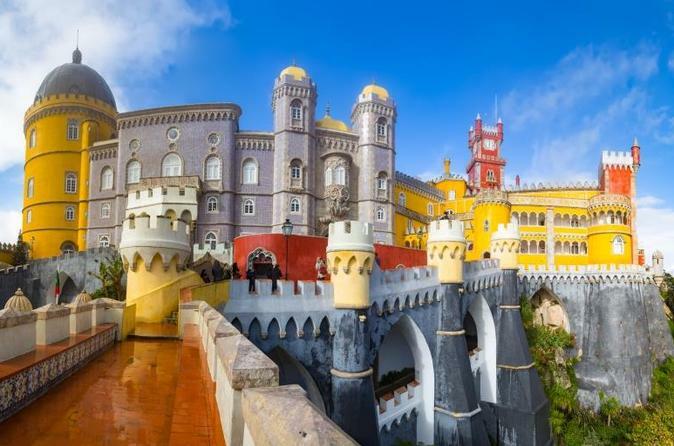 It is a place which is straight out of a fairytale.There are lots of castles and palaces, but the prettiest one is the Pena palace, which is surrounded by forested parkland with exotic trees, flowers and plants. Lord Byron’s favourite haunt Sintra the charming city makes you fall in love with the place. The town famous for the production of the very fine port wine and also a world heritage site is a combination of old worldly charm and metropolitan culture. From wandering around the streets full of cafes and shops ,visiting the art galleries, sampling all the traditional recipes and tasting the local wine and so many other things to see and do makes it an intriguing travel destination. The double deck arch bridge, Ponte Dom Luis is well known for its port wine cellars. 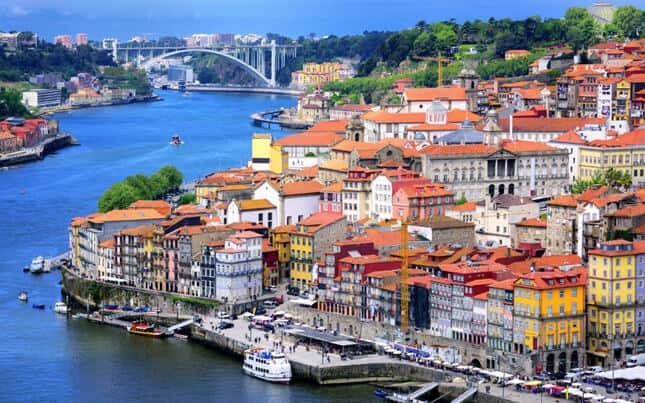 Porto, the town that gave the country and the wine ishould not be missed, when you are in Portugal. A summertime hotspot for ocean lovers and paradise for surfers. 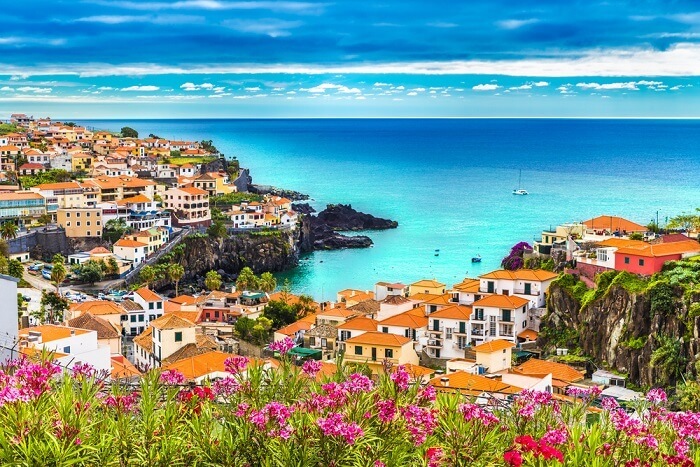 It offers feast for the eyes with its tranquil landscape of olive groves, traditional whitewashed villages and dramatic cliffs.The calm and warm ocean, with different shades of blue, is ideal for water sports and swimming.The traditional food is not to be missed ,this place has the best seafood and a variety of other cuisines. 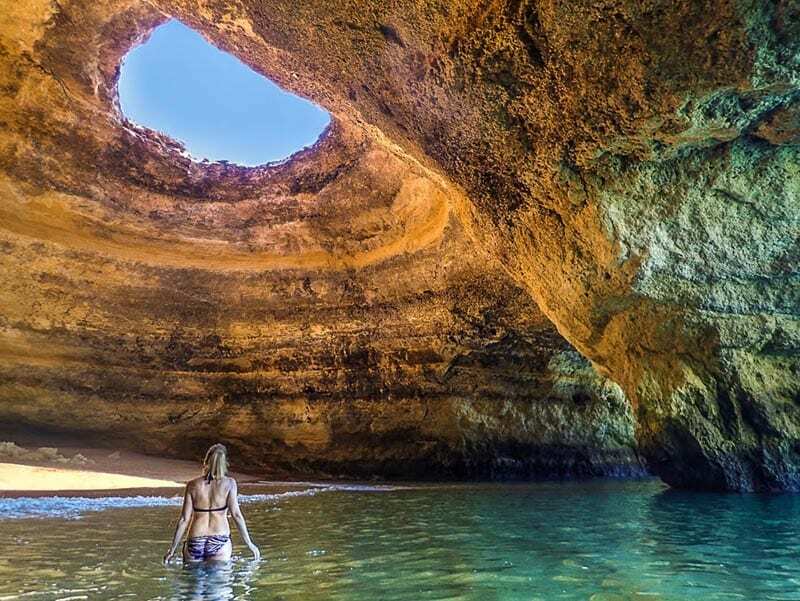 If you are planning a trip to Portugal, make sure you don’t miss out these places. Next articleHere’s What Nobody Tells You: How To Break Up?